The South China Sea, 1805. The ship carrying Xavier Balmis, a visionary Spanish doctor, is on the verge of sinking. He has been picked for a mission that many dismiss as crazy: to take orphans carrying the smallpox vaccine to China and thus slow the advance of the deadliest disease known. However, his noble quest is in danger: they are surrounded by fearsome Chinese pirates, the country’s authorities refuse any contact with the West and Tomás, the last of the orphans carrying the vaccine, has disappeared. Only when the Emperor’s nephew succumbs to the illness will Balmis get permission to carry out his plan to prevent the Empire from collapsing. 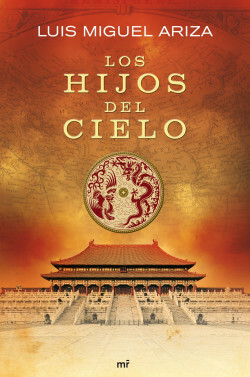 The adventure of a Spanish doctor who defeated the mortal epidemy of smallpox in Imperial China. A masterful novel based on the true and never before told story of a legendary historical expedition.